Todays Learners oddly still have one ritual that will be recognized by every student of every generation of almost every country….The weekly spelling test. For many kids, this is their first graded activity often starting as early as kindergarten. Done right with lists that are built around solid educational foundation such as building phonics skills, the weekly word list is a powerful time-proven tool of education. VocabularySpellingCity.com is a freemium educational service that has both a free and a premium (ie Paid) service. Unscramble Instructions: The object of the activity is to unscramble letters to form each of your spelling or vocabulary words. To create the words, you may click on each letter in order or click and drag the letters into the box below. To move a letter, click on it and drag it into its new position before releasing the mouse button. Click the Hint button to hear the word read aloud. Unscramble is available as an online activity or you can create your own word finder worksheet from the game! You may also play Unscramble with your own list or use any of the thousands of existing lists on our site. Unscramble is a particularly popular word game that is a variation on other word games such as text twists, Boggle™, Scrabble™, Word Play with Friends™, jumbles, and anagrams. Anagrams often extend word unscramble to include phrases or sentences. VocabularySpellingCity also has a game where players unscramble sentences. 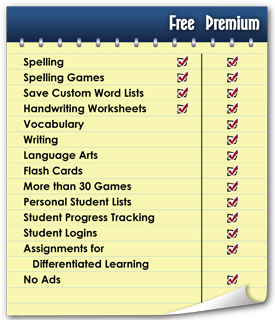 On VocabularySpellingCity, there are teaching resources tuned for each Grade level which cover the pedagogy and standards for that letter including suggested vocabulary words, academic vocabulary, subject specific vocabulary, and all sorts of word lists, activities, word games, and printable worksheets. Copyright © 2019 Todays-Learners. Powered by WordPress. Theme: Spacious by ThemeGrill.